This miniature cabbage, Brussels sprouts are cooked gently in the oven, can be used in soups, stir-fried with tomato sauce, au gratis, to steam, but can consume raw. Attention: when it is cooked, it will give off an unpleasant smell due to the sulphur released. Brussels sprouts, Madrona and rich in folic acid, it is rich in protein, fiber, carbohydrates, as well as vitamin B, vitamin A, vitamin C, vitamin E, vitamin K.
Put the pasta to boil in boiling water in which I initially put a tablespoon of salt. They'll Cook as indicated on the box. Cut into thin strips of chicken breast and browned in 2 tablespoons hot oil on both sides (3-4 minutes), the Pan should be one măricică in order to fit all the preparation. 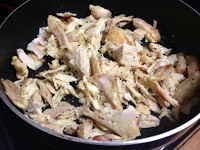 Once backed out fașiuțele of chicken breast in a bowl and keep warm. 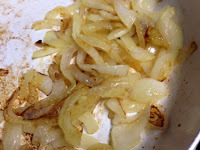 In the Pan I put Brown chicken breast onion mix cut julienne and add crushed garlic and a pinch of salt, onion soup so will leave and will soften nicely. 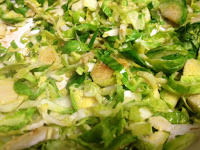 When Onion has softened slightly and becomes golden brown, add the Brussels sprouts cut into quarters or jumatați, cut small cubes and roșia distuim until it begins to soften and cabbage. When cabbage and onion have softened put chicken breast over Brown, pour the wine into the Pan and boil the cream and simmer. We care not to cook it too much so that the chicken breast to retain their bit of crunchy texture and the cabbage is not terciuita. When the preparation is almost done with the season with salt, pepper, oregano and basil. 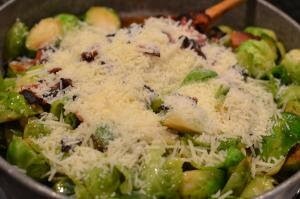 Add half of the grated Parmesan cheese and incorporate it firmly into the sauce. Add hot pasta after I've drained the water and lasăm it all to give a boil. If there is enough gravy add little water, put in the water in which they boiled the pasta. 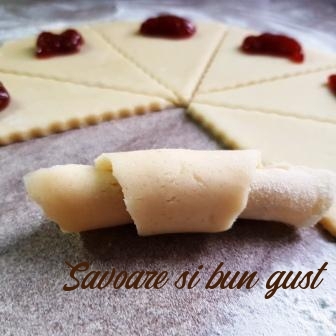 Serve warm, with Parmesan cheese sprinkled on top.